The Times of London reports a determination from the Information Commissioner’s Office of the United Kingdom: members of the Climate Research Unit of the University of East Anglia broke the law by refusing to hand over its raw data for public scrutiny. The ICO says, however, that it cannot prosecute because of a 6-month timeout in the controlling legislation. It is launching an effort to have the timeout increased or abolished. The Times, which has been doing a noticeably better job of reporting on the CRU disclosures and their aftermath than anyone in the American media, also reports that the chairman of the IPCC has used bogus claims that Himalayan glaciers were melting to win grants worth hundreds of thousands of pounds. Those predictions — trumpeted in the IPCC’s reports and a major theme in alarmist propaganda — turn out to have not to have been based peer-reviewed literature or anything as mundane as actual facts, and were inserted in the IPCC report purely to put pressure on world leaders. Those of us who have been saying for a decade that the IPCC Assessment Reports were corrupt piles of political flimflam, and that AGW alarmism was built on criminal data fraud, and that its leading proponents are personally corrupt and complicit in the fraud, were right. 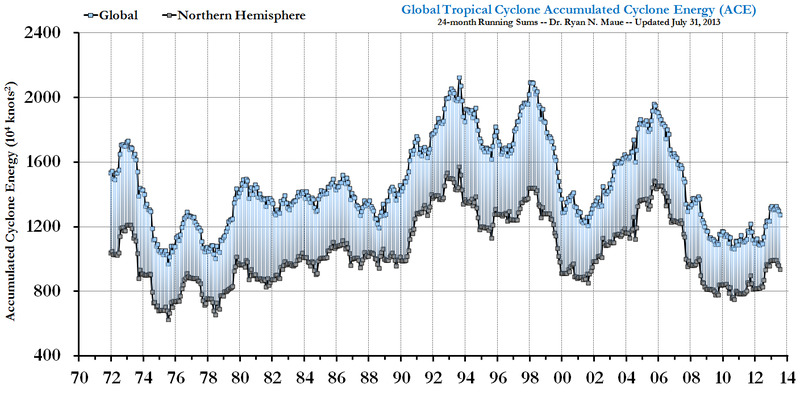 Of course, the mainstream media has learned its lesson and will now treat AGW claims with rational skepticism. And, chastened, it will apply more stringent standards of evidence to future environmental panics. And love is a thing that can never go wrong, and I am Marie of Romania. How do the members of the Climate “Research” Unit still have their jobs? 1) You like the idea of transferrring money to the UN and the 3rd world. If that means lies, well, Bush Lied People Died. Thus, the climatologist who stretches points the farthest is the better person. 2) You think the world is generally warming, to some extent by human cause.Not by Hollywood standards, but the innumerate public requires Hollywood. Thus, the climatologist who stretches points the farthest is the better person. Also, reporters always support their sources. The IPCC is a source,and melodramatic stories are best. Good luck preventing another Great War by carefully arranged royal marriages, Your Highness. Blame it on dyslexia, I suppose. What really does frighten me is that glaciers are melting, hurricanes and typhoons are increasing (as is the damage they inflict) and nobody, not one entity that we trust with our money to look out for our interests as a species has any freaking clue as to why. I’m a programmer, and not even a very good programmer. This is disturbing me so much that I’m almost tempted to go back to school to become a climate scientist, albeit not a very good climate scientist, in order to bring some ethics to the table. The system en situ seems to honor mediocrity, it should welcome me with open arms. 2035 .. 2350 .. ehh, what’s the difference. Print it, Pablo, for we’re all doomed anyway. >What really does frighten me is that glaciers are melting, hurricanes and typhoons are increasing (as is the damage they inflict) and nobody, not one entity that we trust with our money to look out for our interests as a species has any freaking clue as to why. Only partly true; the apparent increase in storm damage is probably an artifact of better reporting and denser population near coastlines. That is, the storms haven’t gotten worse, but their effects have and we notice the damage more. But supposing the increase were real, and granting the glacier meltback, this is still not exceptional or reason to panic. Climate oscillates on multidecadal cycles; there have been times, as recently as the 1970s, when the worries were about global cooling, and this will probably happen again. But Eric, don’t you see that global warming is a proven fact, and that a few bad apples don’t spoil the barrel? There are plenty of other scientists with excellent evidence that global warming is happening. Or is it global cooling? I get them mixed up. Anyway, just because a few people lied, committed criminal fraud, and deceived billions of people, doesn’t mean that global warming isn’t a fact. The glacier melting thing isn’t a mere typo. It’s based off nothing. It’s pulled completely out of thin air. i thought dorothy parker was a communist spy? ESR says: Perhaps not technically a spy; “agent of influence” was probably a better description. But yes, a Stalinist cell member. The line’s still funny. Tim: What really does frighten me is that glaciers are melting, hurricanes and typhoons are increasing (as is the damage they inflict) and nobody, not one entity that we trust with our money to look out for our interests as a species has any freaking clue as to why. esr: Only partly true; the apparent increase in storm damage is probably an artifact of better reporting and denser population near coastlines. That is, the storms havenâ€™t gotten worse, but their effects have and we notice the damage more. > there have been times, as recently as the 1970s, when the worries were about global cooling, and this will probably happen again. I’m no expert on FOI law or UK jurisprudence, but a 6-month statute of limitations on filings seems like an outrageously short timeout period. With such a window it almost encourages everyone to bring charges at the drop of a hat, when in fact there may be legitimate reasons why turning over certain kinds of information could take awhile. Now, obviously, that was not the case with this gang of liars and witch doctors. Thanks to the leak, we all know very well that they were flouting the law and conspiring with each other to suppress data. But a system that requires “leaks” in order to function is no system at all. It’s cheering that these crooks got caught with their pants down, and that the courts seem to be serious about charging them with crimes. Ignore the biased website linked there, the data comes straight from NOAA. And, not all glaciers are melting. Some are growing. And in the case of many that are melting, the accepted reason has nothing to do with temperature, but with local deforestation contributing to a lack of moisture available to freeze. And you’re not the NAACP, which might have an attitude about that bit of piracy. If you can see a rising trend, then it’s time to adjust your meds. Many glaciers are indeed retreating, but the trend started between 1750 and 1850… well before AGW was alleged to have begun. These steps read like a script for what’s happening to the outside and annoyed observer. This is not to say that groupthink always leads to wrong conclusion. You can have groupthinka bout something and all be right. But it does prevent you from seeing alternatives, which are often more probably. Living in Potsdam, on the Canadian border, I can tell you this on a very cold night: that we have MUCH MORE to fear from global cooling than we do global warming. Saturday morning, the gutters on my house filled up with ice and tore off. Didn’t do any major damage (the worst was smashing a couple of porch railings), but the bill is still over $2500, and now I have to come up with a $1K insurance deductible on top of everything else. Since the Great Dempression has had me unemployed since last June, this is not looking very likely. Right now, I’ve got very, very little patience with AGW cultists. Better yet, look at the 24-month running averages for the last 40 years. Looks like there was a peak in the early- and late-90s, and we’ve been on a downward trend since.